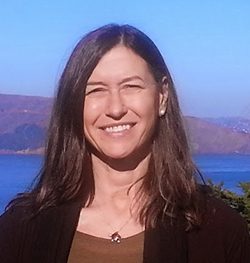 Dr. Beverly Law is Professor of Global Change Biology & Terrestrial Systems Science in the Department of Forest Ecosystems & Society, and an Adjunct Professor in the College of Oceanic and Atmospheric Sciences. She is an American Geophysical Union Fellow and Aldo Leopold Fellow. Dr. Law’s research focuses on the effects of climate change, fire, and management on ecosystem carbon and water cycling, addressing issues such as vulnerability of forests to drought-related mortality, and ecological implications of human actions intended to minimize drought and fire effects. She is an author or co-author of over 200 peer-reviewed publications. She and her students and postdocs have contributed to our understanding of the interactions between ecosystems and the atmosphere, and regional analysis of carbon and water cycling and potential vulnerability of forests under future climate. Dr. Law served as Science Chair of the AmeriFlux network of 100+ land-atmosphere research sites (2000-2011), Chair of the Global Terrestrial Observing System – Terrestrial Carbon Observations (GTOS-TCO), and on the National Research Council committees “Verifying Greenhouse Gas Emissions: Methods to Support International Climate Agreements,” and “Air Quality Management in the U.S.” Currently, she serves on the international advisory board of the European Integrated Carbon Observation System. Dr. Law has testified before U.S. House and Senate Committees on a variety of issues, such as "Managing forests in response to climate change including for natural resource adaptation and carbon sequestration," and "Monitoring, measurement, and verification of greenhouse gas emissions." Mentoring: Dr. Law has mentored 7 MS and 7 PhD students, and over 20 post-docs and visiting scientists. Ecosystem processes, including carbon and water cycling (e.g. photosynthesis, transpiration by trees and shrubs, autotrophic and heterotrophic respiration) as influenced by climate and disturbance; processes contributing to whole ecosystem CO2 and water vapor exchange measured by the eddy covariance method; remote sensing of canopy structure; modeling ecosystem processes in response to climate and disturbance.